Thanksgiving week is upon us. If you’re like me, then you are really excited about all the yummy treats we get to eat this week. But you may also be cringing thinking of the week’s worth of food we pack into one meal. Here are some simple food substitutes you can use to make that Thanksgiving meal healthier. Use organic milk instead of regular milk. This automatically eliminates a huge source of added hormones. Grind your own flour to use in your baked goods. It can be used in muffins, cinnamon rolls, pie crusts and cakes. Substitute coconut oil for butter. 1=1 ratio. Use local, farm-fresh eggs or substitute ground flax. Bob’s Red Mill also makes an Egg Replacer. 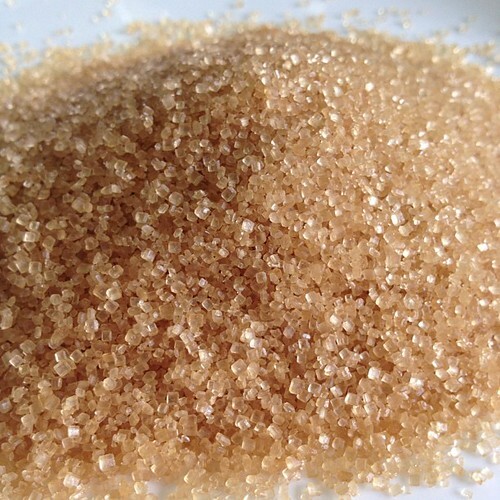 Instead of sugar, use a raw whole cane sugar or turbinado. It adds a richer flavor to your food, while keeping things a little healthier. Avoid the holiday ham. Pig meat is pumped with a lot of excess chemicals and preservatives, so you are a lot better off avoiding it altogether. A venison roast and even a turkey are both better choices. Choose Whole Grain Rolls. If you can’t make your own rolls, then go for the whole grain option. Be careful when selecting a “multigrain” option, as this label is very deceiving, and sometimes only means a bleached bread was sprinkled with a second type of grain. Find out how you can make your own whole wheat bread without a bread machine. Cook your pumpkin puree for pumpkin pie, instead of using the canned stuff. Your pumpkin pies will be more nutrient-dense, and won’t contain any added preservatives. What are some of your ideas for food substitutes that will make your Thanksgiving meals healthier? For the cranberry sauce, I will use OJ, honey and some orange zest to sweeten it instead of white sugar. Love all your suggestions as well! Ohhh OJ…I’ve been using apple juice but that sounds good too! I have been making homemade cranberry sauce the last few years and the orange zest, orange juice and a little honey are a killer combo! Such great sweet balance to the tart cranberry! Mmm..that sounds fabulous! Thanks for the tip! Oh that’s a good one Jenna! I think I may have to try that this year! I never use canned yams. I have always used fresh sweet potatoes for sweet potato casserole. Homemade sweet potato fries roasted on a cookie sheet with butter & sea salt. Cranberry sauce using just enough organic sugar that my kids will eat it. I only add about 2 tablespoons of water, just to get it started. Start with a natural bird that hasn’t been injected w/ junk (i.e. nothing from the grocery) We always get a minimum 20# bird as we really like left overs. Place bird in an 18 quart Nesco roaster. Sprinkle w/ sea salt inside & out. Cut the tops off of 3 or 4 whole garlic heads & place in cavity. Grind up the gizzard, heart & liver and add to the stuffing. Everyone always requests my cranberry sauce – I add honey, apple juice, cinnamon, and nutmeg (all eyeball/to taste, I rarely measure). We aren’t big sweet potato fans anymore for some reason but we like butternut squash a lot so I plan to take chunks of butternut squash and toss them in maple syrup (grade B) and a little coconut oil, adding cinnamon and/or nutmeg and roast in oven. I’ve also made apple and other fruit crisps with almond meal/flour instead of wheat flour, for the gluten free in the family. I admit I have never been able to make good from-scratch stuffing or gravy so I just accept it and don’t stress myself out with it and just buy the already bagged/boxed stuff just making sure it’s as natural/organic as I can find. I also cannot afford an organic pastured turkey so I just make sure it’s “natural” and not injected with preservatives or anything else I cannot pronounce! Happy Thanksgiving everyone!